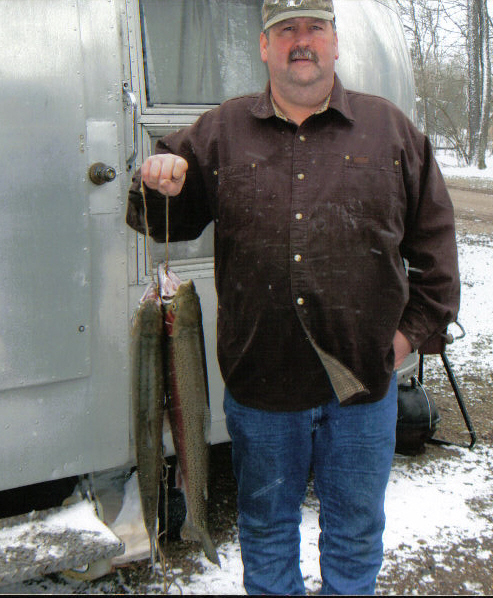 Spring steelhead fishing at Tippy Dam is a tradition many families look forward to all winter long. Every year, thousands of people from all around the country make plans to fish the Manistee river at Tippy Dam. 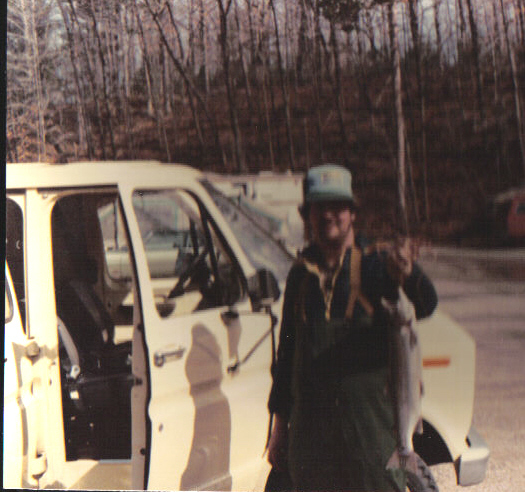 My family is included in this group of anglers and have been making the trek for over thirty years. The allure of the mighty Manistee river keeps us coming back year after year. Once the steelhead run starts, the fishing at Tippy Dam can be some of the hottest action found in Michigan. After winter, successful anglers will wait for the weather to hold steady in the forties followed by some rain. The rain and warmer temps will get the steelhead running up the Manistee from the lake to spawn. The fish will hit a roadblock at the dam making it a popular place to fish. Once the fish are in to spawn, the action is non-stop. Anglers can access Tippy Dam from the north at the DNR site on Dillings road or the south at the end of Tippy Dam road. 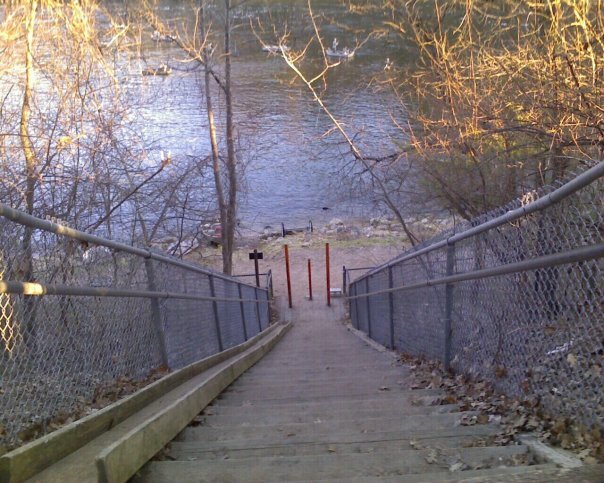 Anglers will have to pay to use the DNR site but the stairs leading down to the dam are not as long. If you plan on fishing tippy from the southern access point, make sure you are in shape. 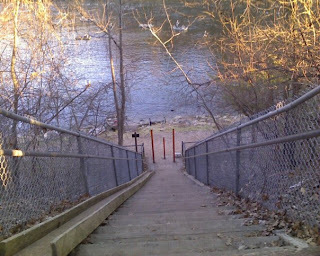 The stairs leading down to the river are not for the faint of heart. The action at Tippy is no secret so it is wise to get to the dam before dark to get a good spot. Most anglers will bunch up below the coffer or on the other side of river closer to the dam. The fishing can be shoulder to shoulder at times and can be frustrating for a beginner. If you are a beginner, I would recommend accessing the dam from the north. Once you park and walk down to the river, go to the right (away from the dam) until the fisherman thin out. The action can be just as good further away from the dam and it will be less stressful fishing. Walk along the shoreline until you see areas where the faster moving water runs into slower water. The steelhead will hold in the slow water areas waiting to attack bait-fish that are swept into them by the faster current. Use a slip bobber set-up and toss your bait so it floats right into the slow moving water and hold on to your rod. Other areas to key in on are areas of gravel and deep holes. The Steelhead look to the gravel areas to spawn and use the deep holes to attack bait-fish. The steelhead are highly pressured at Tippy Dam so it is important to use the lightest line possible. Successful anglers will use eight pound monofilament with a six or four pound leader of fluorocarbon. The leader will be three to four feet long and tied to the monofilament at a barrel swivel. If you snag up, the leader will break off, leaving all of the other components attached to your line. You will simply have to tie another leader attaching a hook to it. Popular bait options at Tippy Dam are teardrops tipped with wigglers and wax worms, wooly bugger flies and spawn sacks. The first two options are better in the beginning of the run with the spawn sacks having more success later on. I personally have had my best luck with an orange colored teardrop tipped with a wiggler but have also had success with spawn. 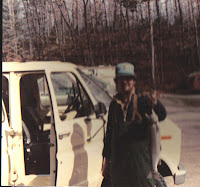 If you are thinking about fishing Tippy Dam this year, I would strongly urge you to try it. The tradition of being on the Manistee river with family and friends will be great no matter if the fish are biting or not. See you Friday. Let's hope for some bites. I envy you we don't have much for fishing this time of the year. Rainbows under the ice is about it unfortunately it's catch & release.